If you have a vehicle, you might as well drive it to your destination, unless of course it's the Escape Car (7360). In this case, one carries the car on one's back and, when danger strikes, assembles it and dives away. I have often wondered if the Escape Car may have initially been planned as a lunar rover for the aborted Astronaut line and made its transition to an Action Pack in 1971 as a pre designed piece. 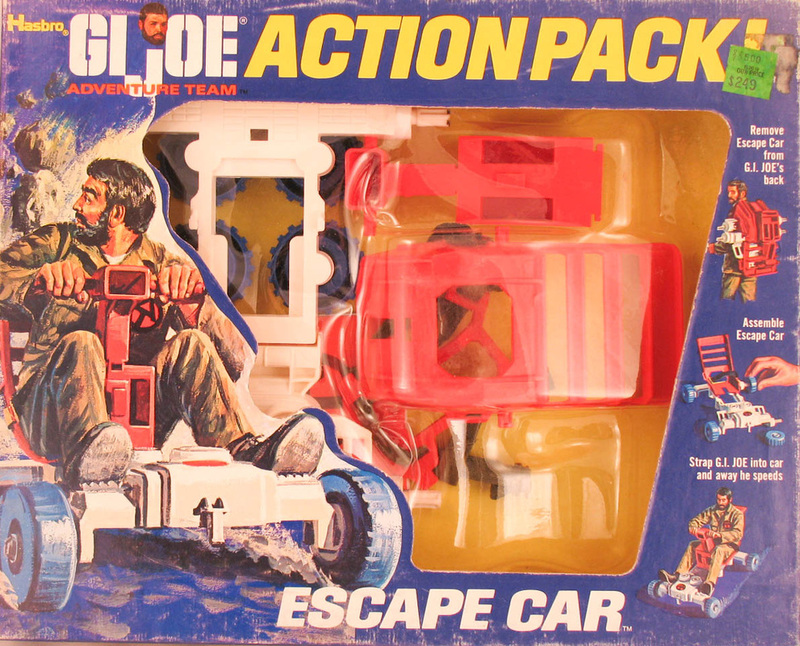 It made an appearance later in the Sears exclusive Trouble at Vulture Pass, and was also available in the Escape from Danger Sears two-pack.